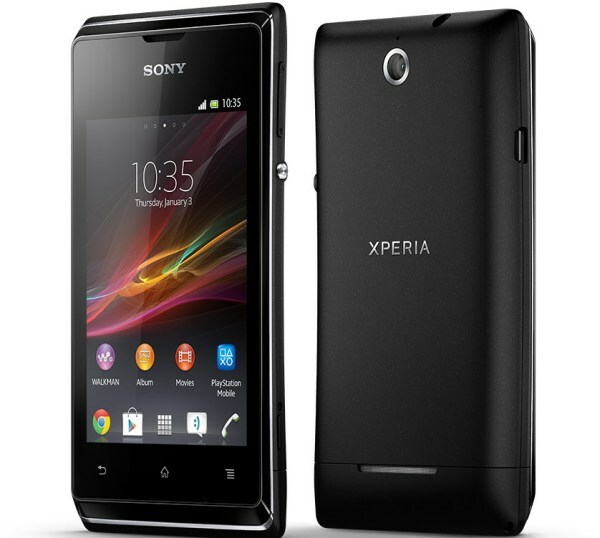 The Xperia E from Sony is a smartphone that entered the market in 2013. Using a mini SIM card and GSM/HSPA technology to work properly, this is a 3.5-inch display device that runs on Android’s Jelly Bean operating system. It comes with 4GB of data space and only one camera – the 3.15MP rear one. If you ever have issues with the phone, you can easily take its 1530 mAh battery out for a soft reset. However, our preferred way to solve more complicated software problems is to do a hard reset on the Sony Xperia E. This operation usually takes a maximum of 5 minutes and doesn’t cause any damage to the device. It’s recommended when you think you downloaded a file with a virus, as it brings all settings, as well as the software back to default. This being said, please make sure that you copy all important documents to a safe place, as everything will be lost after the restore. The best way to recover the default settings of this type of smartphone is to check that it’s on and go to its main menu. In case it is blocked, you can undo this by forcing it to shut down – press and hold Power until it’s off, and then let it cool down for a bit. Removing the battery has also been proved to help a lot in this situation. Go to Menu and press the Settings icon. Select Backup & Reset and click on Factory Reset. Read the instructions and press Reset Phone. Highlight Erase All and confirm by selecting the option. That’s all you need to do in order to prompt the master reset procedure. Once you’re done doing this, the device will automatically begin erasing files stored on the RAM. This includes your photos and videos, as well as music, movies, contacts that haven’t been saved directly onto the SIM card and all other documents you worked on. Apps will also be uninstalled and erased, and once the wipe is complete, the phone will reinstall the original version of the OS and restart. Download the Flashtool from Sony and install all drivers. Turn the device off and press Volume Down. Hold this key and connect the USB cable to the phone. All instructions will pop up on the display, so make sure you follow them. You should be done in approximately 5 minutes, and then the Sony will reboot right away.